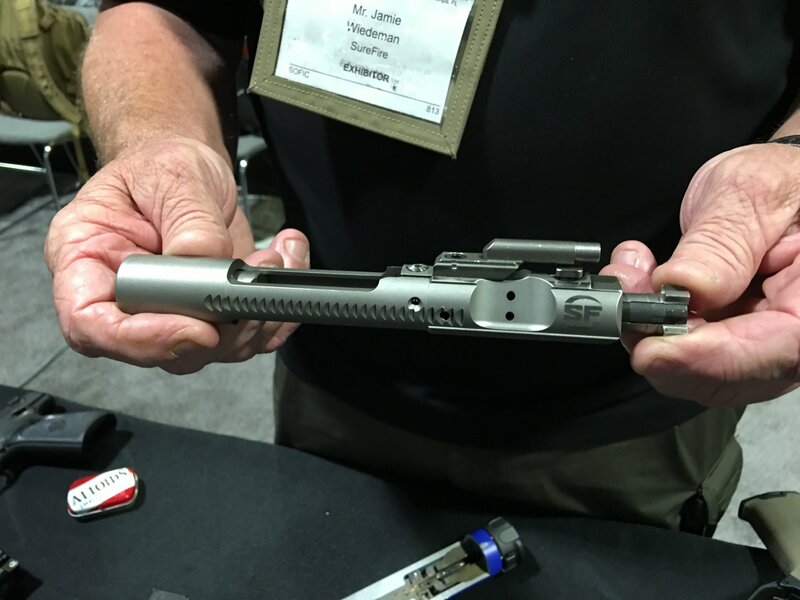 SureFire Optimized Bolt Carrier-Long Stroke (OBC-LS) Drop-In BCG and H7S Buffer System with Longer Action Spring for Better Weapon Control, Reliability and Durability: Best Tactical AR-15/M4/M4A1 Carbine/Short Barreled Rifle (SBR) Bolt Carrier Group/Buffer System Combo Ever? | DefenseReview.com (DR): An online tactical technology and military defense technology magazine with particular focus on the latest and greatest tactical firearms news (tactical gun news), tactical gear news and tactical shooting news. Last until dated on 7/10/16. 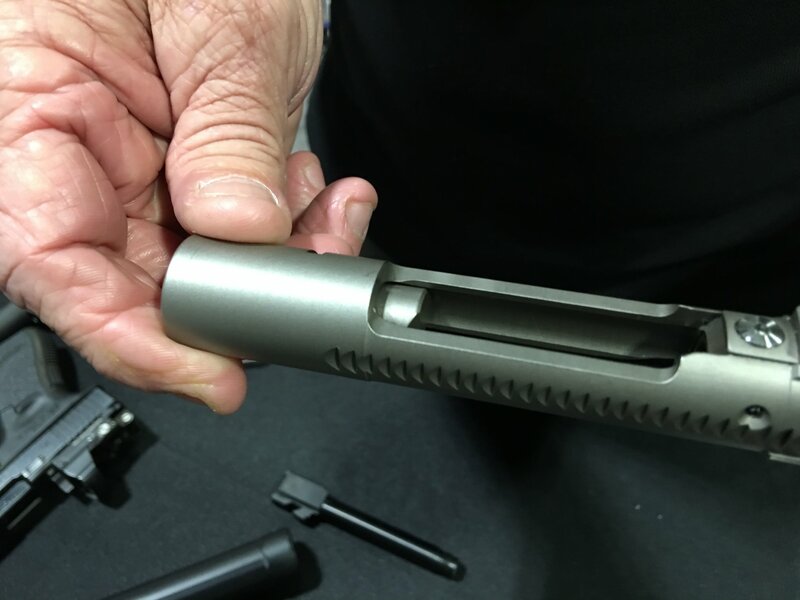 As long as we’re discussing the latest and greatest SureFire products, we should probably mention the new SureFire Optimized Bolt Carrier-Long Stroke (OBC-LS) (temporary name) drop-in BCG (Bolt Carrier Group and H7S Buffer System with longer action spring. Designed for SureFire by legendary infantry small arms designer/developer Jim Sullivan (L. James Sullivan) of ArmWest LLC (also written Arm West LLC), the OBC-LS is beautifully and elegantly designed, and perhaps one of the most important tactical AR-15/M16/M4/M4A1 Carbine/SBR (Short Barreled Rifle) upgrade component packages ever designed and developed. Sullivan is a true living legend of gun design, having designed and developed the original AR-15/M16 Rifle (along with its 20-round box magazine and 5.56x45mm cartridge) under the late, great Eugene Stoner, the SureFire MAG5-60 60-shot and MAG5-100 100-shot AR mags (magazines), Stoner 63 Weapon System modular LMG (Light Machine Gun), the Ultimax 100 LMG (along with its 100-round drum mag), the Beta Mag C-MAG, the Ruger Mini-14, the chain gun for the Challenger MBT (Main Battle Tank), and the list keeps going. Sullivan’s a bona fide gun-designing badass. 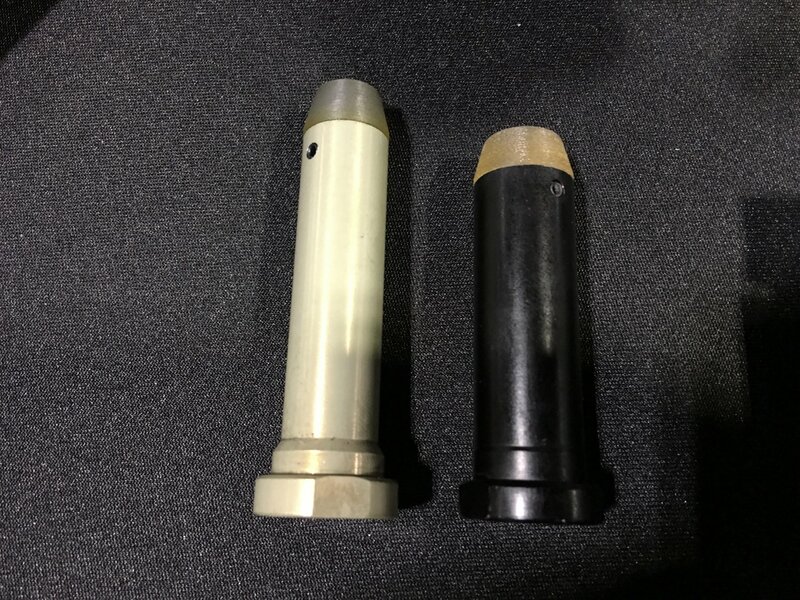 Anyway, DefenseReview (DR) recently got to examine this product at SOFIC 2016 (Special Operations Forces Industry Conference 2016). The SureFire OBC-LS incorporates a number of improvements, but the most important is a reciprocating spring-loaded weight (or, sprung weight) that, combined with the SureFire H7S Buffer and longer action spring, significantly reduces the cyclic rate of fire (ROF) when the weapon is fired on full-auto, bringing it below the 700-RPM threshold, and down to around the 550-600-RPM range. Bringing the cyclic ROF down below the 700-RPM threshold yield a number of advantages, including better full-auto and full-auto controllability, and less barrel and chamber heating. Less heat mean sincreased reliability and weapon life, along with less chance of cook-off. Basically you can shoot more rounds on full-auto within a short time span before going to cook-off. 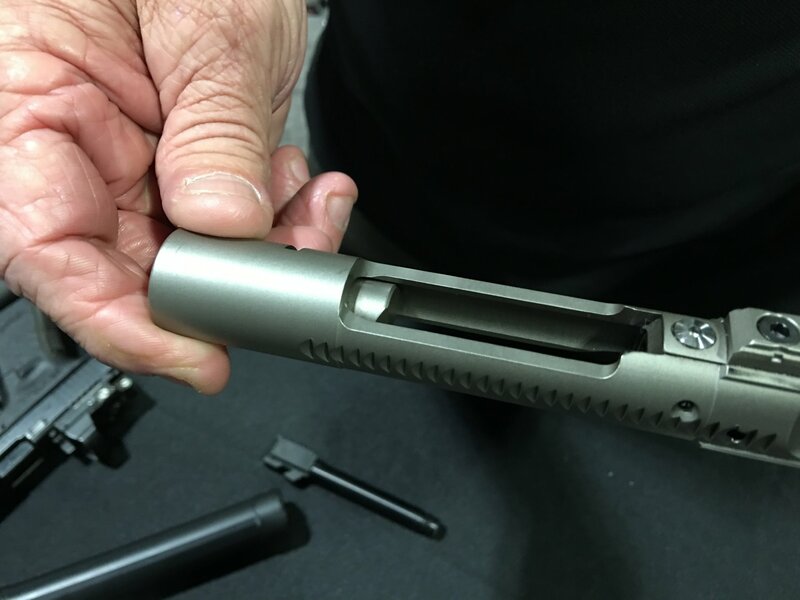 Lowering the bolt carrier speed also helps eliminate bolt bounce and light primer strikes. Spreading the recoil forces over more time reduces felt recoil and enhances weapon controllability in the rock ‘n roll mode. 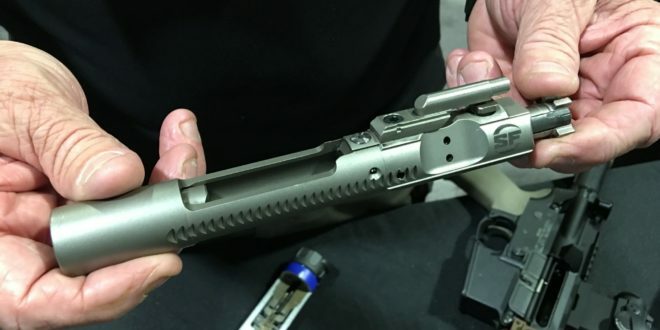 DR is curious as to how the SureFire Optimzed Bolt Carrier/H7S Buffer combo stacks up against both the FERFRANS DSAS/RRS (Delayed Sear Activation System/Rate Reduction System) BCG and Nemo Arms RRS BCG, respectively. We’ve been writing about the FERFRANS BCG for years, and we’re BIG fans of it. Both the OBC-LS/H7 Buffer System and DSAS/RRS BCG essentially achieve a similar effect through two completely different designs. 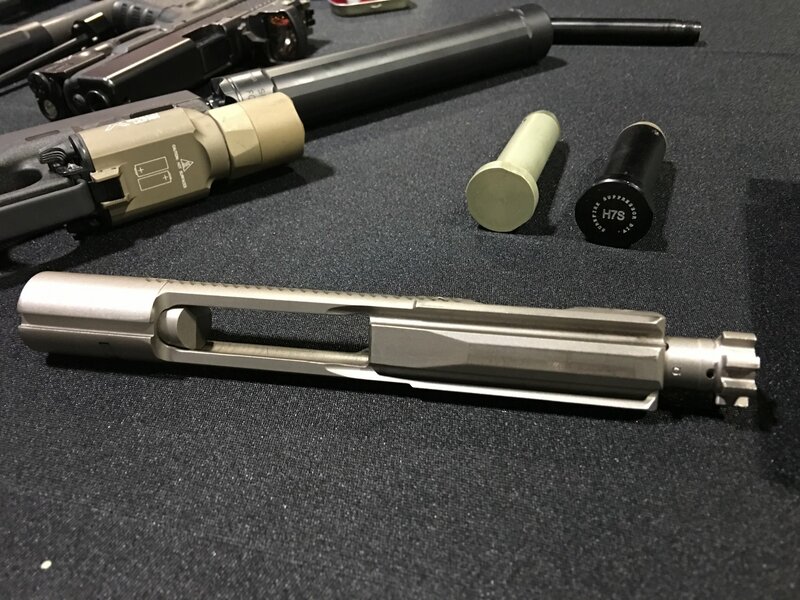 Where the SureFire OBC-LS/H7 Buffer System utilizes a springloaded weight in the back of the carrier and teams the BCG up with a proprietary buffer, the FERFRANS DSAS/RRS BCG utilizes a simple reciprocating metal piece that recipricates freely within the BCG, via inertia. The the OBC-LS/H7 Buffer System is a more sophisticated design than the FERFRANS DSAS/RRS BCG, so it will be interesting to see how they compare back-to-back at some point. DR has only examined and written about the Nemo Arms RRS BCG once when it was pulled out of a Nemo Arms Omen Recon .300WM 18″ rifle/carbine for us, so we’re much less familiar with it compared to the FERFRANS DSAS/RRS BCG, but we can say that the Nemo Arms product appears to be much more similar in design to the SureFire OBS-LS BCG, as it, too, incorporates a sprung weight int the rear of the bolt carrier. It still looks a good bit different design-wise, but it’s closer than the FERFRANS BCG. 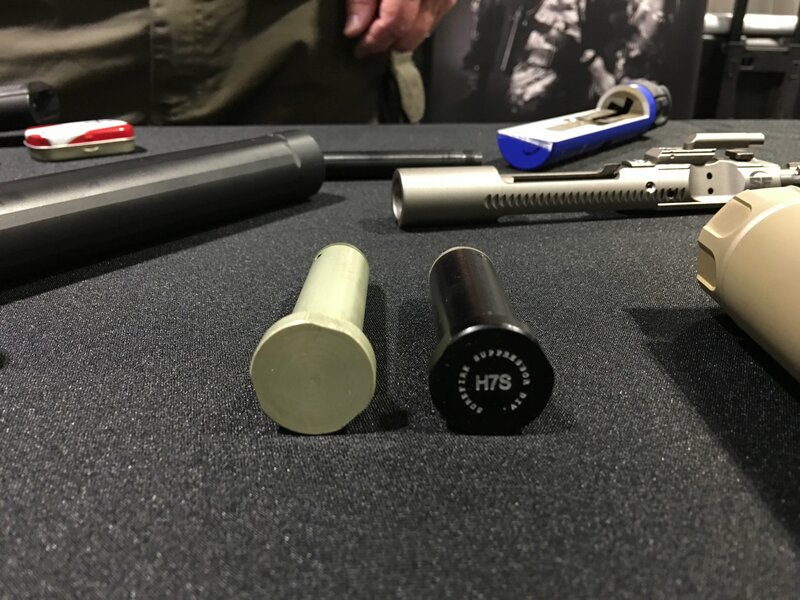 So, ideally, we’d like to compare all three products in a high-round-count side-by-side test, and test them on both full-auto and semi-auto. Interestingly, DR writer/contributor and chief new product tester Jeff Gurwitch has also found the FERFRANS DSAS/RRS BCG to be advantageous for fast semi-auto shooting, and says he can accurately shoot faster split times with it over a MIlSPEC BCG-equiped M4A1 Carbine or MK18 Mod 1 SBR–and he’s even demonstrated this on video for DR. 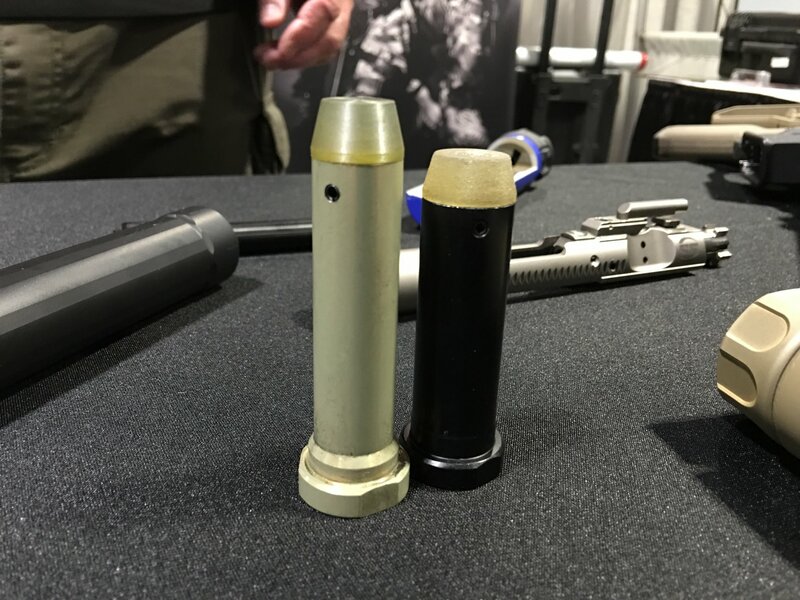 So, it didn’t surprise us when SureFire executive Barry Dueck confirmed that the SureFire OBC-LS/H7S Buffer System provides a similar semi-auto-shooting advantage. You can see us discuss this aspect in the embedded DR video below. 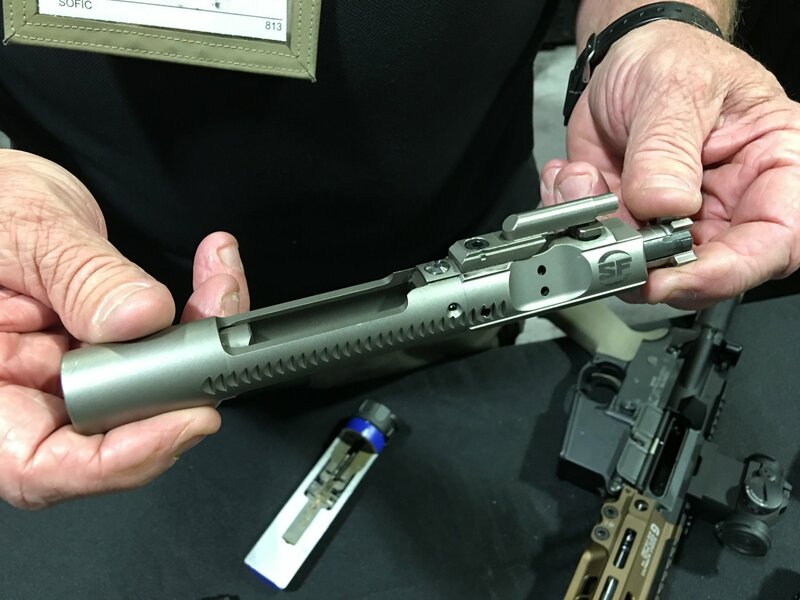 Bottom line, the SureFire Optimized Bolt Carrier-Long-Stroke BCG/H7S Buffer System is IMPORTANT, and a potential game-changer as a COTS (Commercial Off The Shelf) drop-in AR component package for the M4A1 Carbine and MK-18 SBR, as it can solve most if not all those weapons’ respective controllability, reliability, and durability problems in seconds. Editor’s Note: We suggest you take the time to watch the whole video, and Dueck provides A LOT of information about the SureFire OBC-LS BCG/H7S Buffer System’s advantages. It’s really worth watching.